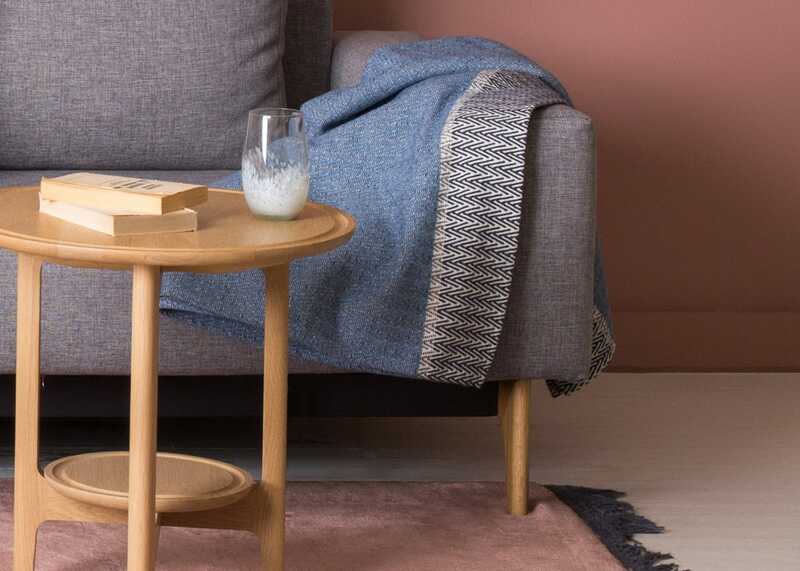 Exclusively made for Heal’s by the Austrian textile manufacturers David Fussenegger, a company with 177 years of knowledge and expertise, the Nova throw is a timeless piece of design. This contemporary styled throw features a detailed chevron pattern topped by a contrasting border along its top edge. So soft and lovely. Not for a double bed but nice at the bottom of the bed. Delivery service mucked up though. This was a gift for my niece who lives with me. When the delivery card was put through our door there was no name on it. My niece was waiting for parcels so checked on it using the card.... Read More. So soft and lovely. Not for a double bed but nice at the bottom of the bed. Delivery service mucked up though. This was a gift for my niece who lives with me. When the delivery card was put through our door there was no name on it. My niece was waiting for parcels so checked on it using the card. Surprise over! A present for my wife. She loves it. It was ok. But not worth the wait and the hassle to get it! Excellent quality, thick wool and beautiful design.